Another current top seller on RPGNow, which we are celebrating this week as part of Goodbye RPGNow Week. 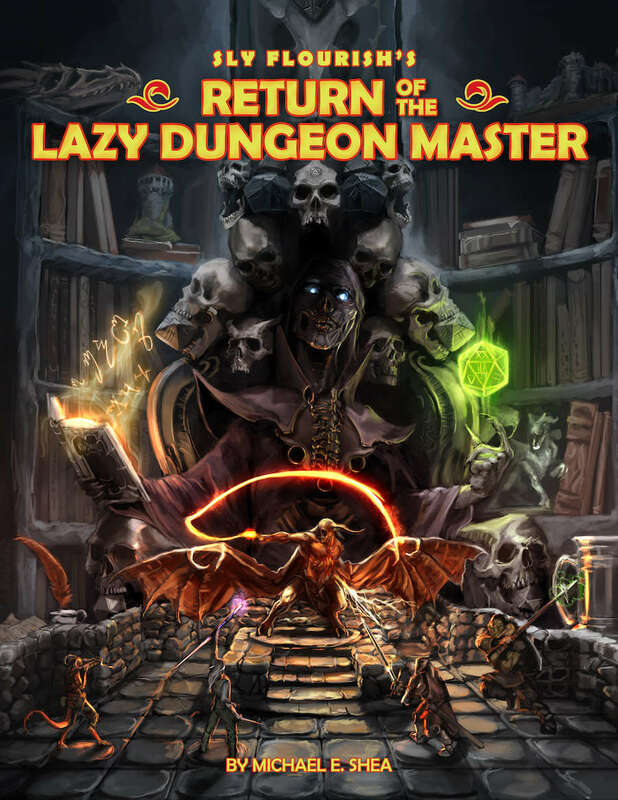 A guidebook for those who want to run D&D or other fantasy campaigns, Return of the Lazy Dungeon Master is a follow-up to the highly-successful and very accessible The Lazy Dungeon Master from five years ago. Funded by over 6,700 backers on Kickstarter, Return of the Lazy Dungeon Master offers a new, focused approach for preparing and running our roleplaying games.